What is a Hearing Loop? A hearing loop (sometimes called an audio induction loop) is a special type of sound system for use by people with hearing aids. 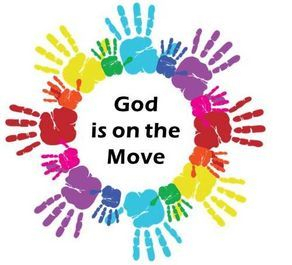 Our Vision: We are people who have faith that God is on the Move! First United Methodist Church of Red Wing celebrates that ALL persons are God’s children, created in God’s image and of sacred worth. We affirm our congregation’s commitment to spiritual diversity, individual integrity, and right to conscience before God. Our faith calls us to be in intentional ministry to, with, and for all people, including those who have not always been accepted because of race, ethnicity, nationality, gender identity, sexual orientation, age, physical abilities/qualities, socio/economic status, family make-up, or religious background. We respectfully advocate for full legal, civil, and ecclesial rights for all persons. For further information, please contact Pastor Clay Oglesbee, 507-251-9283, or at redwingrev@gmail.com. Seeking God's guidance for your everyday life choices? Maybe we can help. Spiritual direction is conversation and prayer with a Spiritual Guide who may help you notice the ways God guides you to go. All interested in the United Methodist Now Inspiration For Daily Living free newsletter, go to www.umc.org to sign up. That's their home page, and there's a big red button to subscribe to their free newsletter right on that page.